Leather sofa slipcovers that fit like a glove. 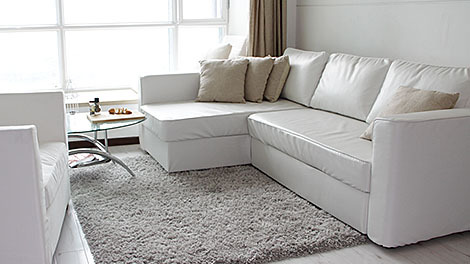 All our slipcovers are tailor-made akin to a well made suit. 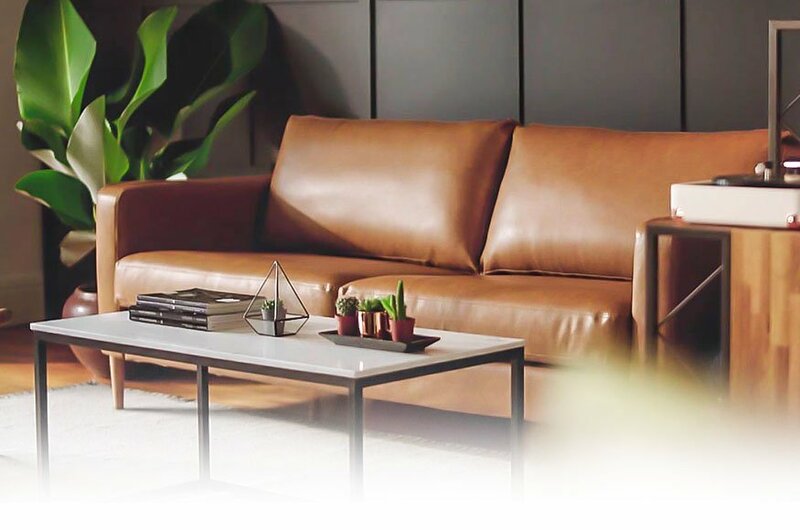 We offer additional customisations like piping and tufting buttons, giving you more options than ever to personalise the look of your leather sofa. 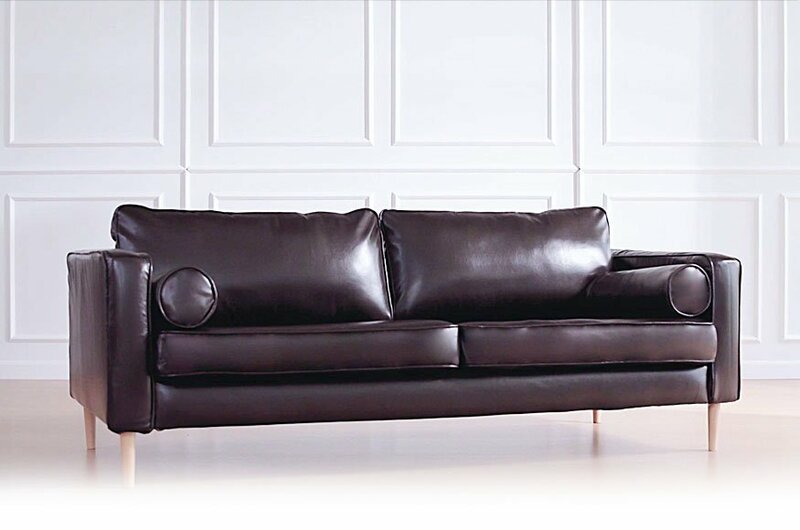 Designer tip: Elevate your leather sofa with two matching round bolsters to complete the look. Parents, this leather collection is for you. Worried about messing up your leather with smudges and spills? Don’t be. All you have to do is wipe it clean, no washing required. Best of all, it’s got a premium look with a forgiving price tag. You can thank us later. Affordable luxury delivered to your doorstep. We hold your hand throughout the ordering process, from choosing the perfect design for your sofa to delivery to your doorstep. 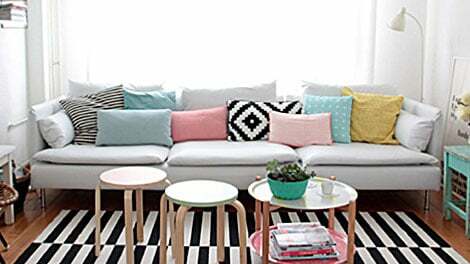 Once your order is shipped out, you should receive your slipcover within 2-4 weeks, so you’ll be sitting pretty in no time. Did we mention, FREE worldwide delivery? "I always wanted a leather sofa but my husband preferred a fabric one, so that's what we had for about 8 years. 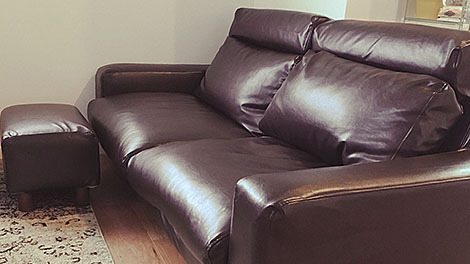 Thanks to Comfort Works, my dream has now come true since I easily put a leather slipcover over my old fabric sofa. 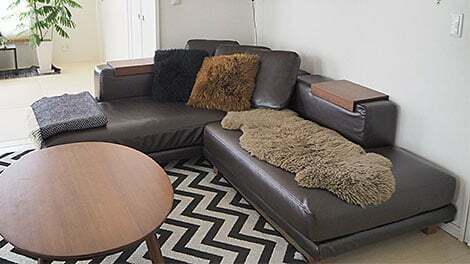 I really like the touch and colour of the Urbanskin Kramfors leather!" "I can’t be more happy about the result: the slipcover fit so well and the leather is super soft and looks tailored. 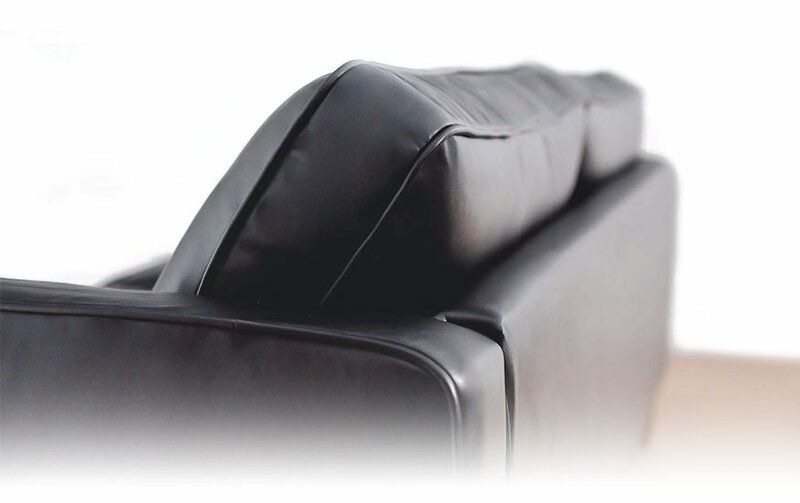 It’s also super resistant.."
"I ordered leather covers from Comfort works for my Muji wide arm sofa. It’s quite easy to maintain and clean because it’s leather. You can just wipe with a cloth if your family drops food or anything on your sofa. I recommend leather covers for those who have kids!"